Not ready to put away your slow cooker this spring? I don’t blame you, it’s super convenient. You can still make great slow cooker recipes that aren’t too heavy. 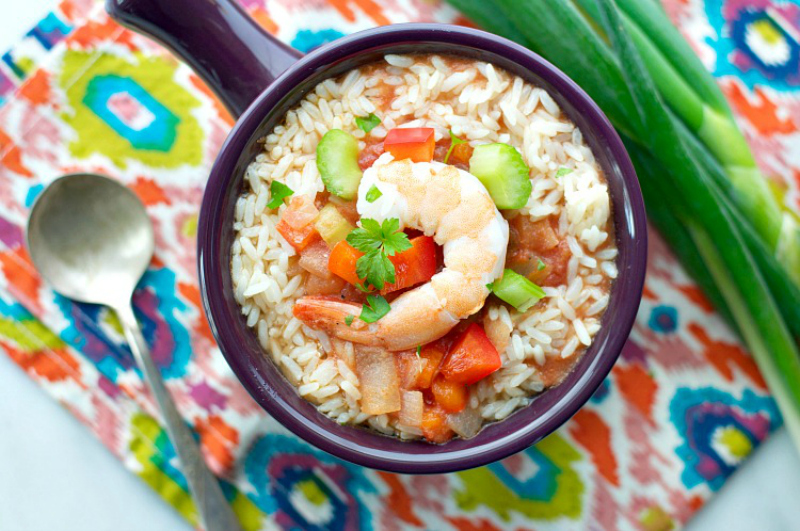 In fact, this light but savory Slow Cooker Chicken and Shrimp Jambalaya is really refreshing! This slow cooker recipe is a great weeknight dinner. It changes up traditional jambalaya by using chicken and shrimp instead of the usual sausage, but the flavor doesn’t suffer at all! In fact, it makes for a great healthy alternative. Click here for the Slow Cooker Chicken and Shrimp Jambalaya Recipe!